Smoothies are one of our favourite breakfast foods, and with good reason! These nutrient-packed and deliciously fresh drinks are extremely versatile and can be varied almost endlessly. 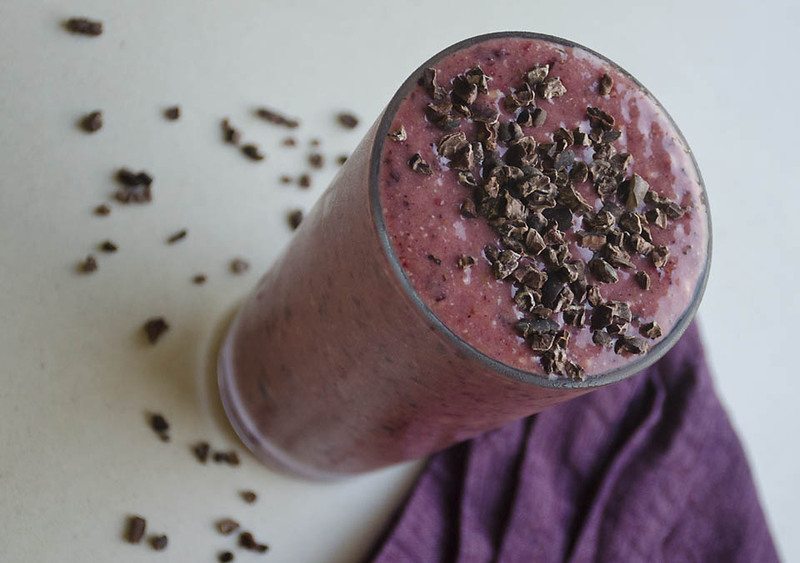 This Blackberry Bliss Breakfast Smoothie is sweet and loaded with vitamin C and fiber. Blackberries are also rich in A, E, K, and B vitamins, as well as antioxidants lutein and zeaxanthin, which can help fight disease-causing free radicals. A touch of coconut flour gives this smoothie a thicker texture and by adding cacao nibs we give it a little bit of a chocolatey crunch. What better way to start the day?!? Mix all the ingredients in a blender until smooth. Add some extra cacao nibs for garnish. Enjoy!